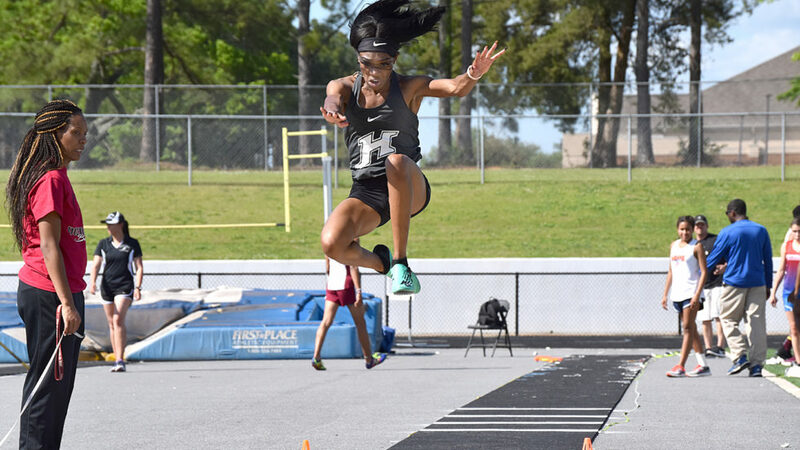 Veterans High’s girls and Houston County High’s boys each earned Houston County track and field championship titles Wednesday at McConnell-Talbert Stadium. The Lady Warhawks compiled 181 points. Second to them was Houston County with 162. Warner Robins was third with 120, followed by Northside with 113 and Perry with 42. For the boys, the Bears earned 177 points. Veterans had 135.50 for second, Warner Robins 115 for third and Perry 101.50 for fourth. 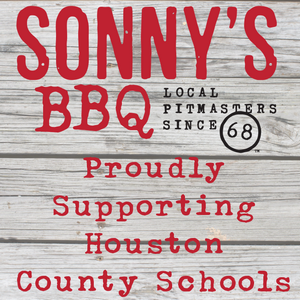 Northside was fifth with 89. Individually, Perry’s Davion Ross was first in the 100-meter dash (10.95). Antonio Doster for Houston County was first in the 200-meter dash (22.07) as well as the 400 (48.81). Warner Robins’ Orlando Hicks won the 800-meter wheelchair event (3:51.28) and Joseph Everette for Northside the 800-meter run (2:02.51). Daniel Shepard for Veterans earned top honors in the 1600-meter run (4:50.69) and Tim Feezor for Houston County first in the 3200-meter run (10:49.64). Devontae Glass for the Demons was first in the 110-meter hurdles (15.17) and Keyonta Curgil for the Eagles first in the 300-meter hurdles (41.23). The Bears’ “A” relay team took the 4X100- and 4X400-meter relays (42.51 and 3:27.02, respectively). In the high jump, it was Malik Mullins for Perry cleared a height of 6-02.00 for first. 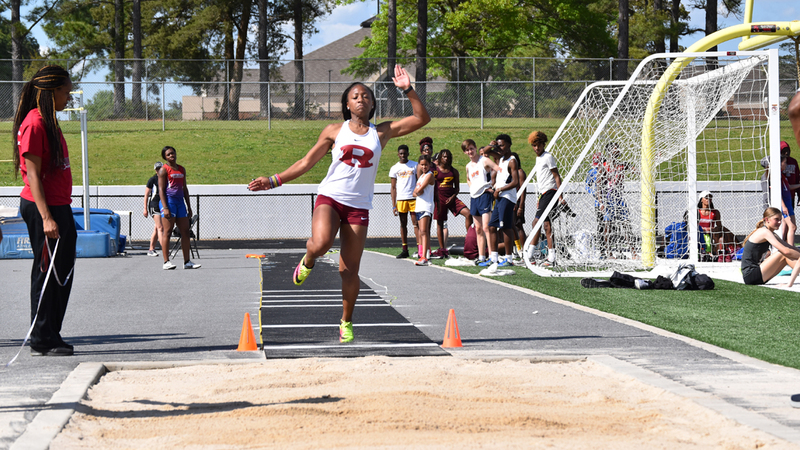 The Warhawks’ Travis Tolbert cleared 12-06.00 for first in the pole vault, Warner Robins’ J’Heim Abron 22-01.00 in the long jump and Kyah Plummer for Houston County 46-00.50 in the triple jump to win those events. 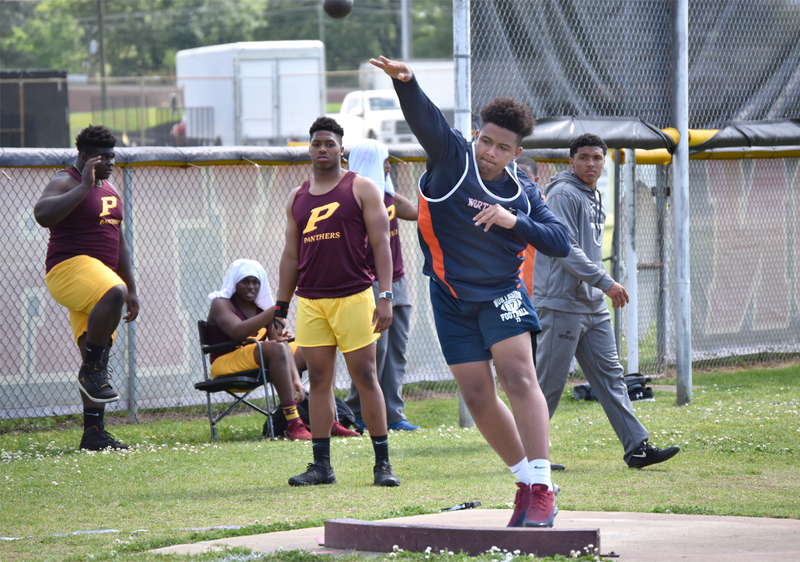 Antwann Fann for Perry won the shot put (50-06.00) and Wesley Steiner for Houston County took the discus throw with a distance of 154-10. On the girls’ side, Jordan Shealey for Northside won the 100-meter dash (12.35). Shaianne Sipsey for Veterans was first in the 200-meter dash (25.37) as well as the 400-meter (59.46). Taija Lawrence ran 800 meters in 2:38.26 to capture first in that event for the Lady Bears and MacKenzie Walls took both the 1600 and 3200 for the Lady Warhawks (5:16.85 and 11:24.74, respectively). 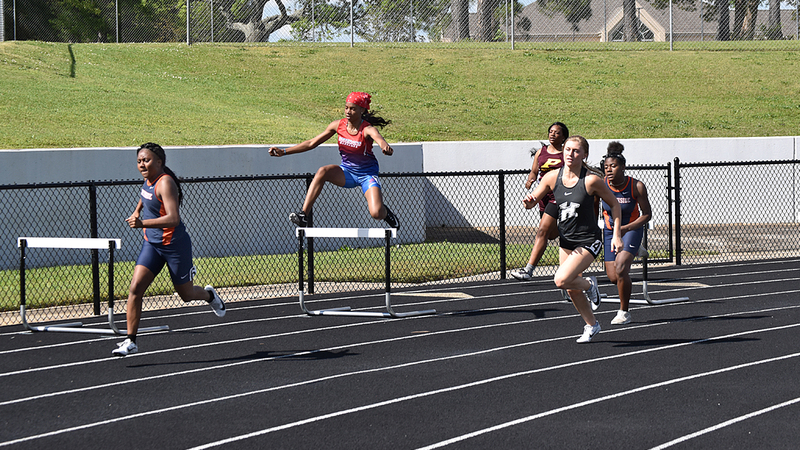 Jeainna Bryant for the Demonettes was first in the 100-meter hurdles (17.53) and Shaquerious Williams first in the 200-meter hurdles (51.82). 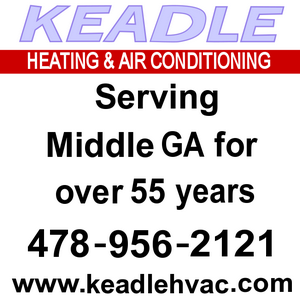 Veterans’ “A” team won the 4X100-meter relay (48.85) and Houston County’s “B” squad the 4X400-meter relay (4:21.68). In the high jump, it was the Lady Bears’ India Turk finishing first. Her distance was 5-00.00 even. Turk also won the long jump and the triple jump. Her distance in the first was 18-06.00 and the second 39-06.00. 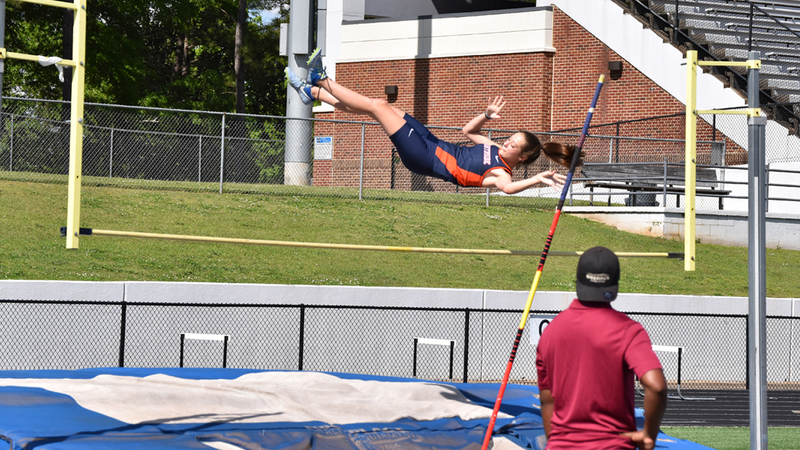 Jasmine Kahley cleared 8-00.00 to earn first for the Lady Eagles in the pole vault and Zaida Carson threw the shot put 38-06.00 for first in that event. 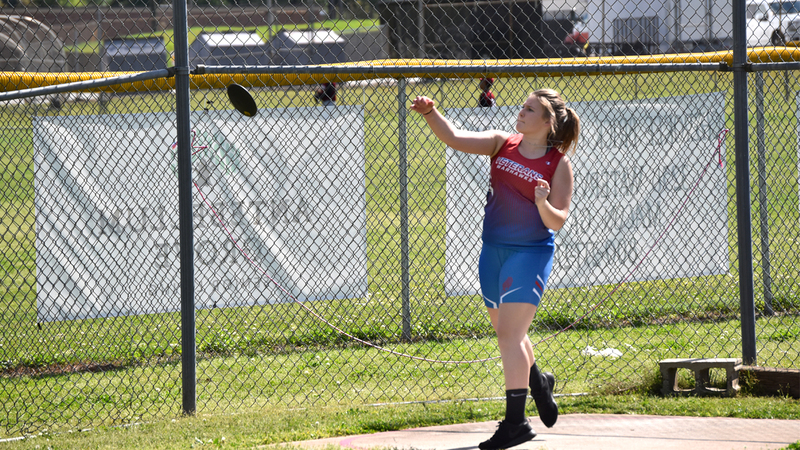 Northside’s Leeza Brown was first in the wheelchair shot put (4-01.00) and finally, Marquia White for Northside tops in the discus with a throw of 111-03.